We had some friends over today and had a nice lunch. The dogs were happy to get a bit of left over steak and the chickens enjoyed some of the left over veggies. 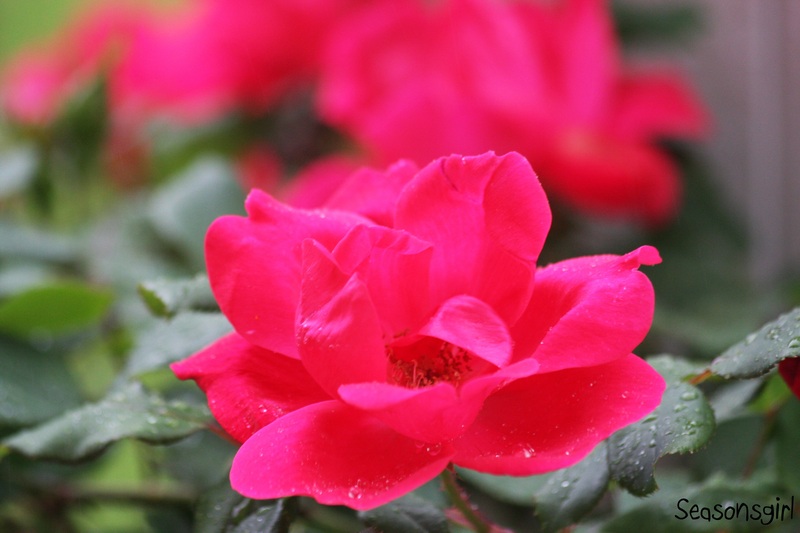 We had some rain over the night and the rose-bush seemed to enjoy the left over water drops. P.S. Anyone know what movie my title is from today? Just saw the red-headed woodpecker in your other blog. Wanted to comment but it said Error 409 Page not found. But anyway, I saw the photo when the notice came into my email. 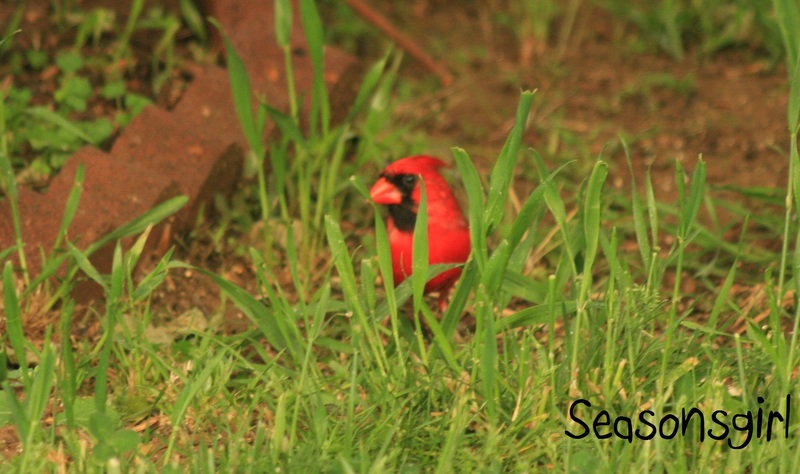 I wanted to say how really interesting it is to me, to be able to see the kinds of birds you have in your area. Very different from ours. Thanks for sharing those photos. Great. Hope the Internet co-operates better tomorrow. 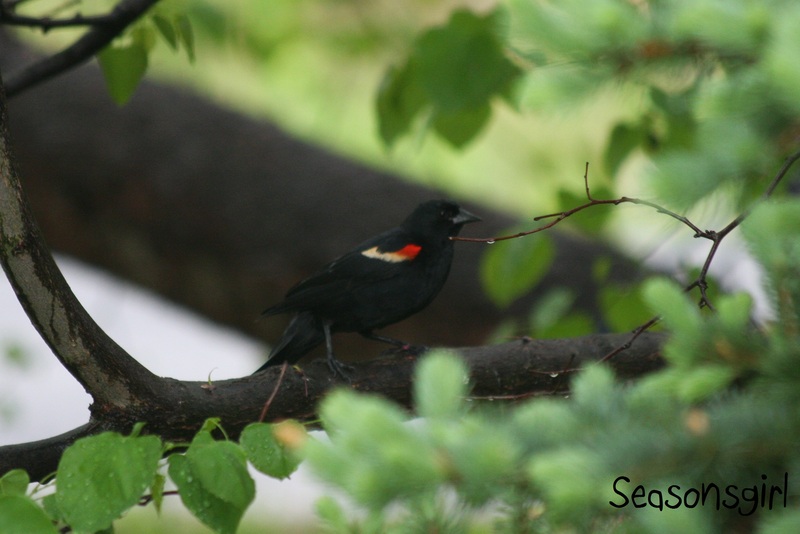 My grandfather used to have bird feeders and suet holders in his yard on Cape Cod, and on rainy days, or lazy days, we would sit in the front window and look out at all the different birds that came, I learned to love birds then, and still do. Awesome. I love bird feeders, my father has a dozen or so around the yard, different ones and food for all kinds of birds that stop by. I especially enjoy watching smaller birds hop around, they are more curious than the larger birds and will usually hop closer for photos if I am patient enough. I love the photo of the cardinal. We have some lovely birds here but often it’s difficult to get a photo thanks to my ‘not so great camera’! I am glad you enjoyed the cardinal, they are my Grandmother’s favorite 🙂 I am glad I barrowed my mom’s husbands camera as it does do better with the qick shots. I know what you mean about them being so quick. It was hard to get a good shot. 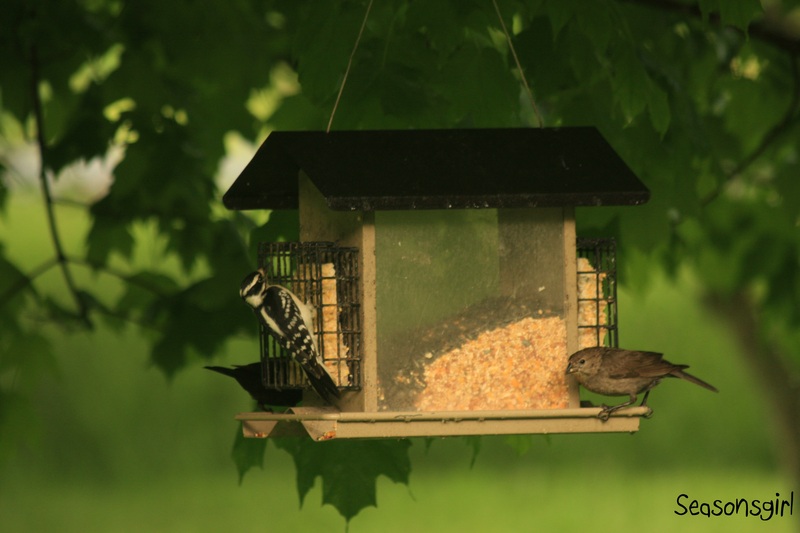 It’s neat to “share birds” on our blog. Just for your info. The black and white woodpecker looks like a female Downey, the brown bird next to her is a mystery. 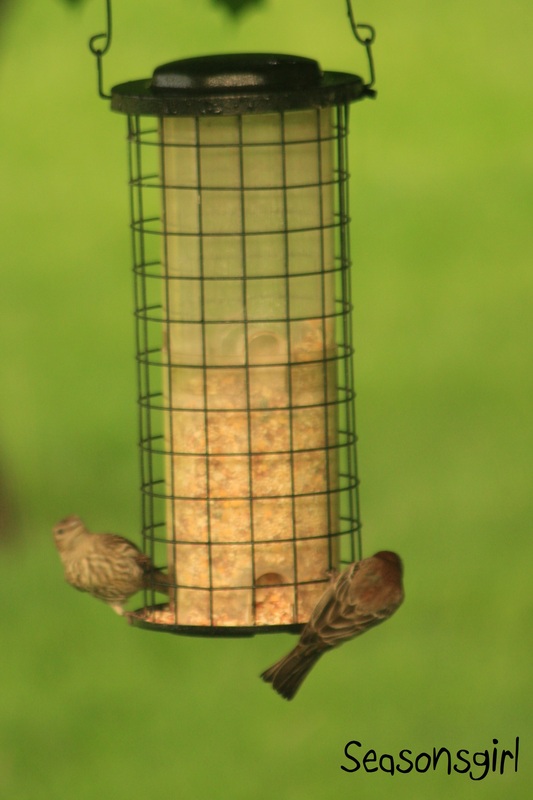 The hanging feeder has house finches and the bird at the bottom picture is a redwing blackbird. We get all those birds in Wisconsin too.